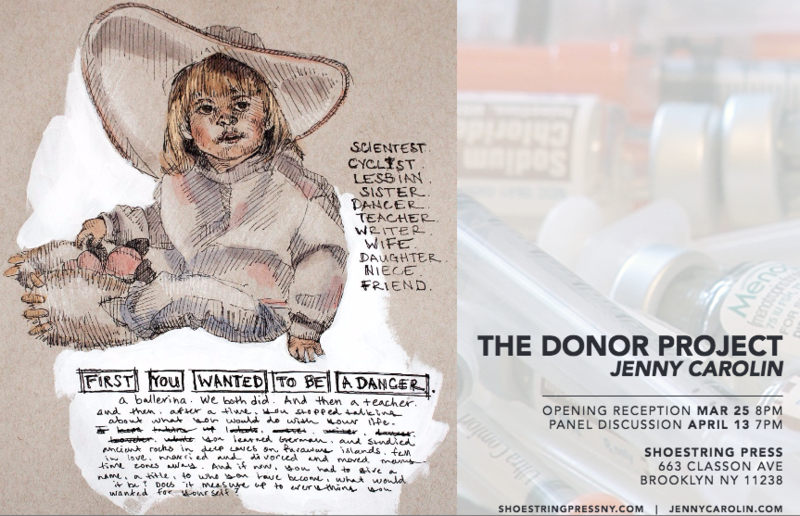 Artist Jenny Carolin, who has donated her eggs five times, discusses writing letters to her future children, the haunting work she's created about who they may become--The Donor Project--and the financial and emotional impact of the process. Carolin herself has always wanted children of her own, but "it hasn't been the right time." This documentary explores the commodification of the human body, the human life, and the painful intersection between love and sacrifice. "Before I fell down the rabbit hole, I didn't know a woman could, or would, donate her eggs to an anonymous recipient for monetary compensation. It seemed extreme, like auctioning off one's body parts or selling plasma, but once you start looking into it, it's wrapped up in this pretty little package of philanthropic intent. I donated eggs because I found the experience compelling, and the money convincing, which is not an unselfish act ... My Catholicism taught me that I should be a mother, preferably multiple times. This would define my subsequent worth and write my future. Because of my lifestyle, this could only happen as an alternative role I could play. 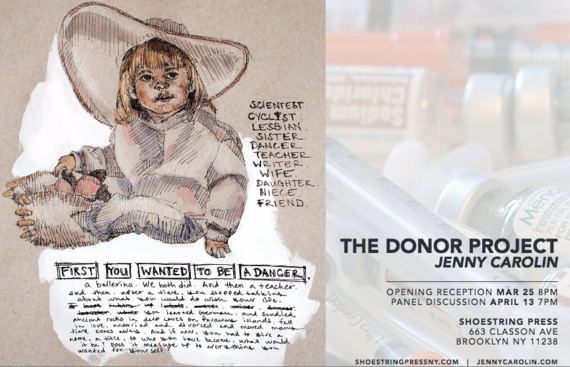 Donating eggs allowed me to construct a dual narrative, as the mother I could be, as well as the children I might have." Carolin's experience sits in the red-hot crosshairs of international controversy; every state in America has different laws governing egg donation, surrogacy, and just how much compensation a potential human fetus can garner; there are no federal regulations at all. Ethically muddy at best, Carolin's work is both deeply personal and serves as a scathing commentary of our societal obsession with fertility, motherhood, and the classism that accompanies this procedure. This video by Rossella Laeng originally appeared on The Establishment, a new multimedia site funded and run by women.